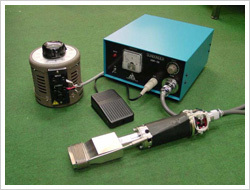 A portable ultrasonic soldering device which operates like a conventional soldering iron, but does not require the use of flux for high-quality soldering to glass and ceramic. 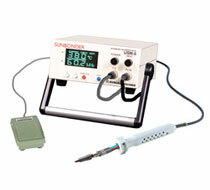 New Sunbonder USM-560 is now available. Use with Cerasolzer® solders for best results. High power, large tip (10mm O.D.) model.